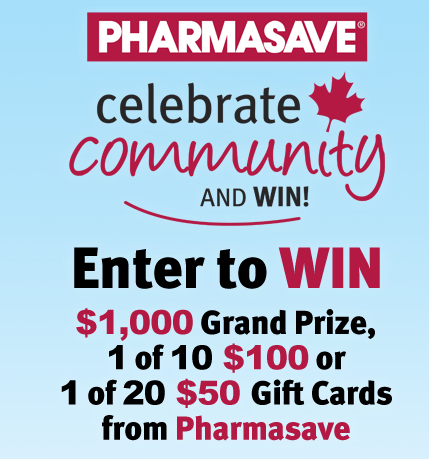 The Celebrate Community and Win contest has begun and there are some great gift cards to be won! 31 Gift cards will be given away including a $1000 grand prize. 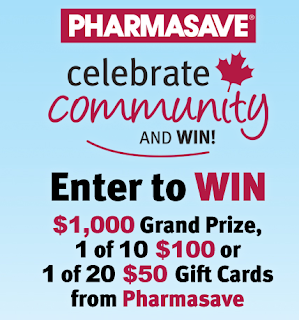 Enter or your chance to win a grand prize of $1000 or 1 of 10 $100 gift cards or 1 of 20 $50 gift cards. Gift cards are for Pharmasave.